Engaged in a defense of his apostleship before the Christians at Corinth, Paul describes their experience of salvation that began when they first committed themselves to Christ and will be fully accomplished at Christ’s return. He urges them “not to accept the grace of God in vain” (2 Corinthians 6:1 NRSV). 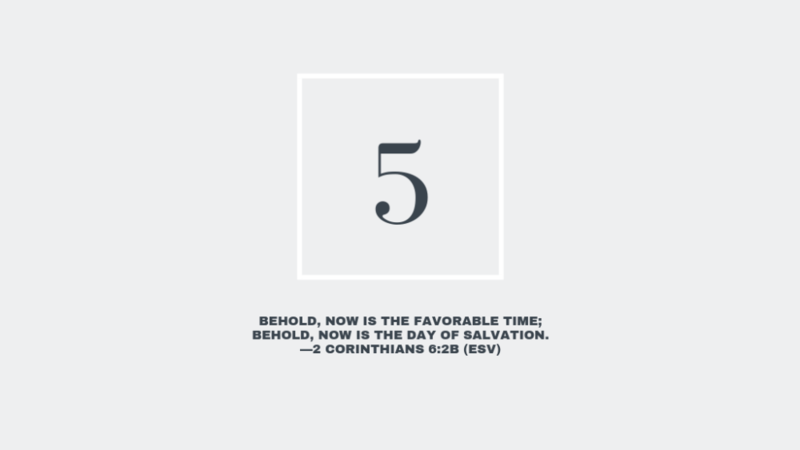 Paul’s message for the Church in today’s reading is a strong reminder to all Christians of the precious gift we receive through Jesus: “Behold, now is the favorable time; behold, now is the day of salvation.” It’s a salvation from the sin that encompasses us, and it’s intended for all people—from every ethnolinguistic group on earth. The very name Jesus means “the Lord saves,” and it has been God’s mission since creation that the world He so loves would come to Him through the grace and power of His Son. As the psalmist writes, “The Lord has made known his salvation; he has revealed his righteousness in the sight of the nations” (Psalm 98:2 ESV). Until that day when “every knee should bow, in heaven and on earth and under the earth, and every tongue confess that Jesus Christ is Lord, to the glory of God the Father” (Philippians 2:10–11 ESV), we have the privilege and joy of participating with God in making known “the name that is above every name” (Philippians 2:9 ESV). May we do so among the nations with boldness and humility. As you reflect on the salvation you’ve received through Christ, what aspects of this gift are you most grateful for today? Take some time to ask God how you might share the Good News of His salvation with others who haven’t yet heard of His grace. 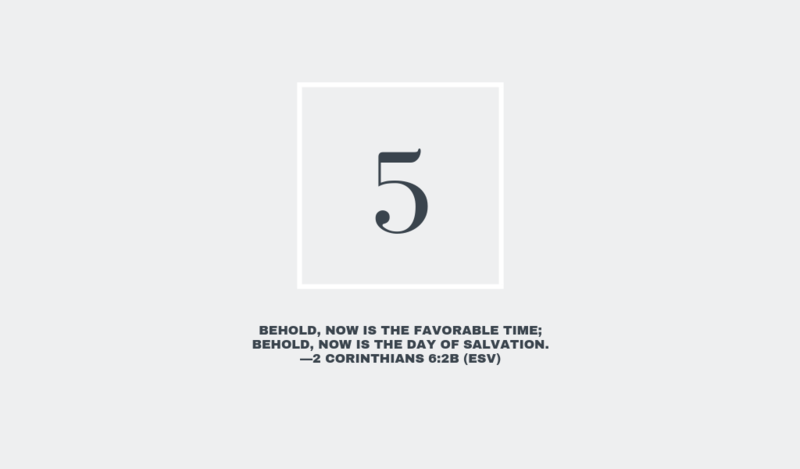 Celebrate the glad tidings we’ve received to proclaim to a waiting world—“Behold your God!” (Isaiah 40:9 ESV).